Inking on the Edge: My Favorite Things Stamps...WSC # 86...Rock Star! My Favorite Things Stamps...WSC # 86...Rock Star! Hello stampin' friends! Glad you could pop by for the MFT, Wednesday Stamp Club! This week we have another fabulous sketch for you to try and it couldn't be easier to get sketchy with us! Just make a card with this week's sketch and upload it to SCS using the proper keyword, MFTWSC86 by Tuesday, August 28th at noon EST, for your chance at our weekly prize! The lucky winner will receive a $15 gift voucher and if the winner uses MFT stamps, they will receive $5 in bonus bucks, for a total of $20!!! Hope you can get sketchy with us this week! 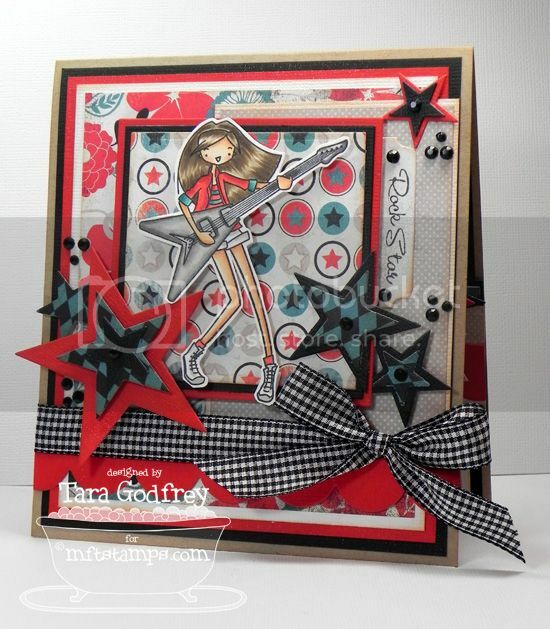 Today, I have a fun and bright card with the ROCKIN' a´ la modes Rock Star stamp set and this fabulous Authentiqe Celebrate 6x6 paper pad! What a fun combo! I coloured the ALM Rock Star girl with my Copics and cut her out and popped her up on the square panel cut with the SQUARE STAX Die-namics. I also used the Star STAX Die-namics, Stacking Stars Die-namics and the Medium Simply Scallop Border Die-namics. 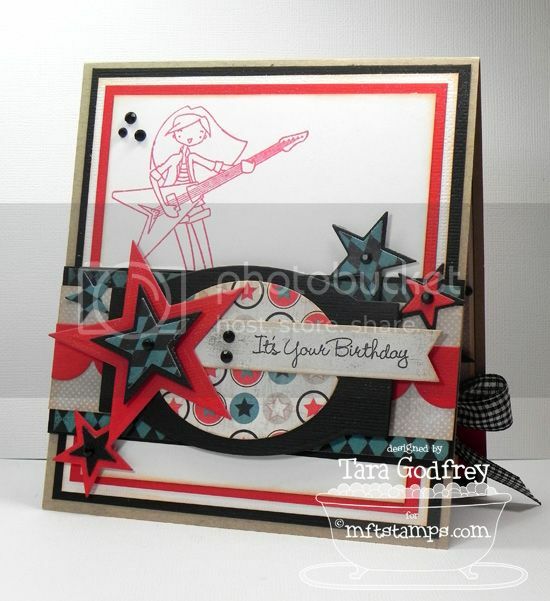 The sentiment from the ALM Rock Star stamp set is stamped on patterned paper cut with a mini tab from the Mini Tab Foursome Die-namics. I added some gingham ribbon and a sprinkling of black bling here and there! Here is the inside...I stamped the ALM Rock Star girl again in red ink and I made the sentiment panel with the Designer Label 4 STAX and the OVAL STAX Die-namics. I embellished with the Star STAX Die-namics again. The sentiment is from the ALM On Safari Stamp set and is stamped on pattern paper cut with the Fishtail Flags STAX Die-namics. Thanks SO much for stopping by and having a wee peek at my card with the fabulous sketch that we have for the MFTWSC86! 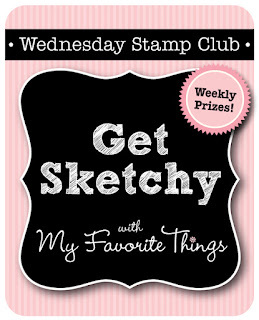 I hope you can get sketchy with us and remember there is a fabulous prize up for grabs too! 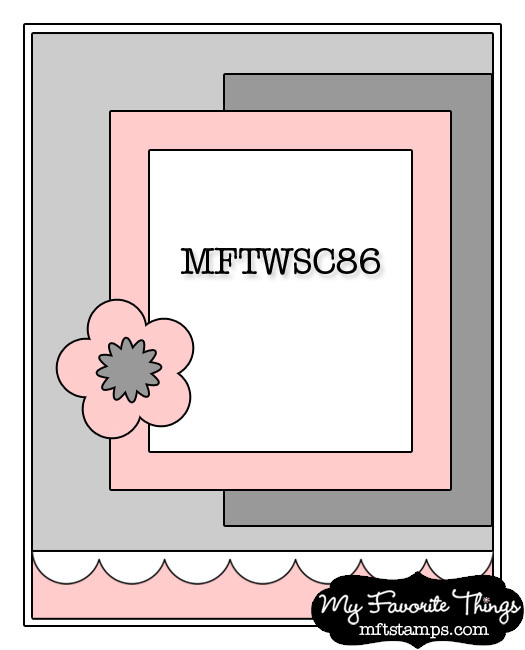 Now head on over to Kim's blog for list to links of all the MFT Designers with cards using this great MFTWSC86 sketch! This card is rockin!!! Love the die-cut stars and great colors! This totally ROCKS with all those layered stars!!!!!! How fun are those papers and colors!! Love all those stars! Fabulous fun card Tara,love the image and colours, awesome stars, love it. Tara! This is SO amazing my friend! AWESOME papers and I LOVE your coloring! The stars are FANTASTIC!!! LOVE this! Such a super fun card! Wow! This is awesome Tara! Love the fun color combo and all the great layers.